New book. Some shelf wear to jacket. 383 pages. 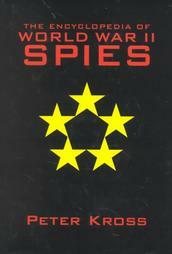 A to Z encyclopedia underground spies and traitors who either prolonged the war or contributed to victory. It contains the names of people, codes, missions and events related to intelligence operations. Also details secret organisations, operations, and theatres of operation. There is currently 4 of this item in stock.